Dora and Boots venture to find the Big Red Chicken after reading a story about him to figure out if he’s real! Dora and Boots find a key to a treasure chest, and with the parrot’s help, they search for the treasure chest. Dora and Boots locate the place of their stolen presents for the three little piggies. 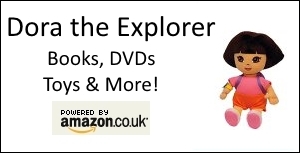 Dora and Boots search for blueberries at Blueberry Hill…where Swiper the fox lives. Dora and co. throw a big surprise party for Boots. Dora and Boots need to get Benny the Sticky Tape after his balloon gets a hole. Dora and Boots chase after Boots’ super bouncy ball, before it stops at a volcano. Dora and Boots help her bug named Mami Bugga Bugga get home with a cookie to feed her babies. Dora and Boots help a baby fish, trapped in a tide pool and help him back home. The two enter a storybook to rescue a prince, who is imprisoned in a tall tower by an evil witch who doesn’t allow toys on her property. Dora and Boots find a frog who is lost from his home and can’t sing until he’s there. Dora and Boots set off to return a boy’s magical flute and reverse a devastating drought. Boots is confident he can solve the very silliest riddles when he and Dora are chosen to complete in a riddle contest at Tallest Mountain.